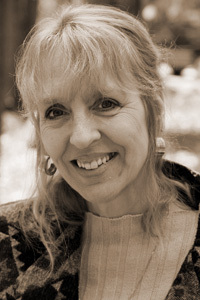 Cynthia Hogue is the author of seven collections of poetry, most recently Or Consequence (Red Hen Press, 2010), When the Water Came: Evacuees of Hurricane Katrina (University of New Orleans Press, 2010), and The Incognito Body (Red Hen Press, 2008). She has received Fulbright, National Endowment for the Arts, and National Endowment for the Humanities fellowships. Hogue is the Maxine and Jonathan Marshall Chair in Modern and Contemporary Poetry in the Department of English at Arizona State University.